Glossybox March 2018 - My Last Ever Glossybox | Gemma Etc. Before I get into the contents of the Glossybox March 2018, I wanted to explain why this is my last ever Glossybox here on Gemma Etc. I have been blogging for over five years now and I’ve been very fortunate enough to receive Glossybox boxes as PR for over four years which has been amazing. I have discovered so many new and exciting products, and fallen in love with products I would never have tried if it wasn’t for Glossybox. If you’re a regular reader of my blog, you’ll know that for 3 and a half years of the four years I’ve said Glossybox is the best beauty box for under £15 and it had been my absolute beauty box for such a long time and in my opinion they still are considerably better than Birchbox. I will forever be grateful to Glossybox for showing my blog support from when my blog was just a year old, and my Glossybox posts are one of my most popular posts I do every month without fail. Even though my Glossybox posts are one of my most popular in terms of traffic from Google search, and I’ll obviously be losing a large chunk of traffic every month, I’ve decided that I can no longer receive ‘free’ boxes from Glossybox for my blog. I don’t know why but for the last six months or so, Glossybox hasn’t wowed me like it used to and it’s such a massive shame. Whenever I was asked what which beauty box service I recommended, it was Glossybox without a doubt but for me the boxes have become repetitive with less popular brands and they’ve just lost the special spark they used to have. Beauty boxes really are a personal thing and I would hate to be a beauty box brand as you simply cannot please everyone but if you look at the contents of November 2016, December 2016 and January 2017 versus the November 2017, December 2017 and January 2018 boxes the boxes just aren’t as exciting as they used to be. Examples of repetition would be the brand Steve Laurent which we had in the December box and then again in February. We had a primer in January box, a primer mist in February and another primer in this month’s box. We had a blusher in November, a blusher in January and a blusher again this month, and I could go on but there was never this much repetition within Glossybox boxes 7 months ago. Some people might be thrilled to get a brand repeated twice in three months, three primers in three months and a blusher three months out of four but I just don’t think the majority would be. I wish Glossybox could go back to featuring exciting, well known brands which made receiving a Glossybox feel like a real treat reach month as the whole concept of Glossybox initially was “4-5 luxury beauty treats”. I subscribed to the very first Glossybox when it launched alongside Carmine Box and Joliebox and I really will miss featuring Glossybox every month, but I don’t love the direction Glossybox has taken over the last six months and my integrity is everything as a blogger so I can’t sit here pretending I love the boxes and repetition when I don’t. If I see a box I love one month, I’ll buy it but I can’t allow Glossybox to gift me boxes anymore as it’s not fair on them. I’m really sorry if you’re going to be disappointed that I will no longer be featuring their boxes on my blog (it’s not just Glossybox by the way, it’s Birchbox too) but I know this is the right decision for myself and my blog. Let’s move onto the products within the Glossybox March 2018 shall we? 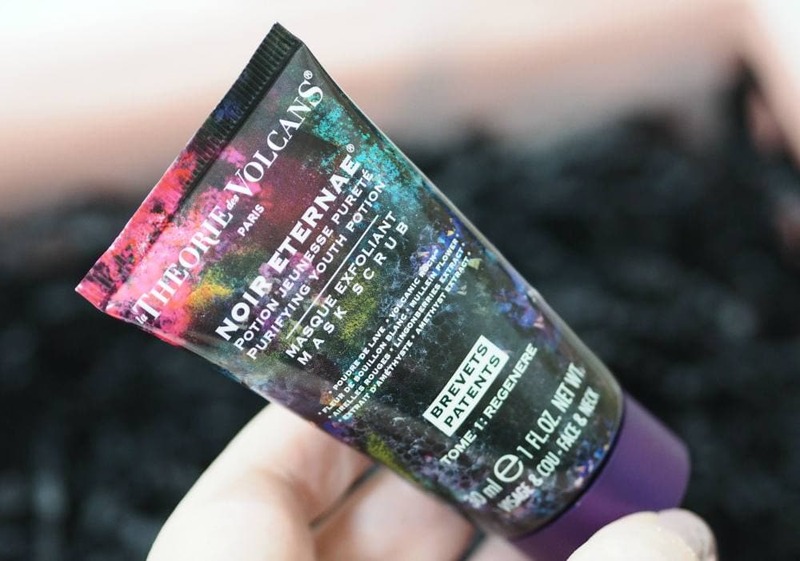 The first product within the Glossybox March 2018 is the Theorie des Volcans Mask Scrub which featured in their February 2017 box so I’m really surprised it’s been repeated yet again in this month’s box. It is described as having a mineral-rich volcanic paste which cleanses and purifies and is enriched with anti-ageing ingredients to plump and smooth the skin. The pink mask is to be applied to the face and will supposedly turn grey as it gets to work removing impurities and dead skin cells – it’s also paraben free, silicone free, vegan and 90% natural. 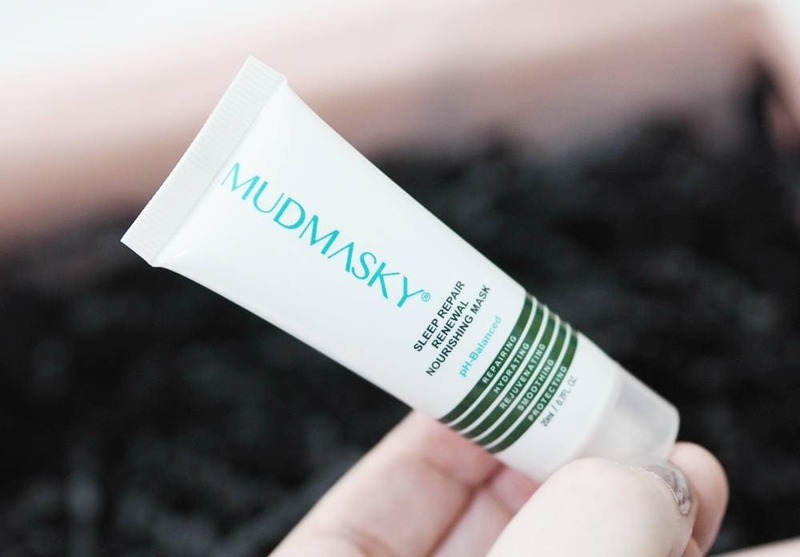 Next up we have a sample size of this mask from Mudmasky with the Glossybox March box which claims to repair, hydrate, rejuvenate, smooth and protect the skin. It’s for men and women of all ages, and you simply apply a thin layer before sleep and leave it on the skin overnight and rinse in the morning. 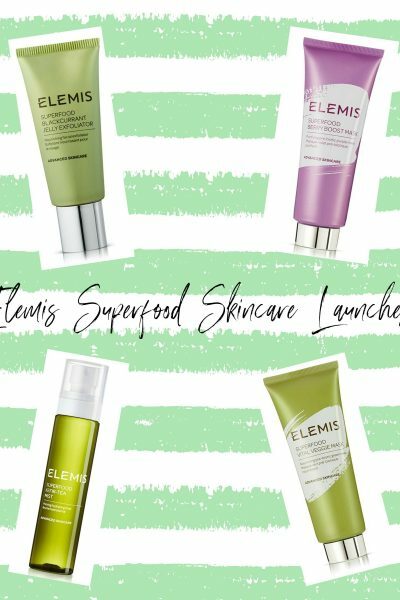 It sounds like a great multi-tasking face mask and I will definitely be giving it a try as my skin is awfully dry right now and needs all the help it can get. 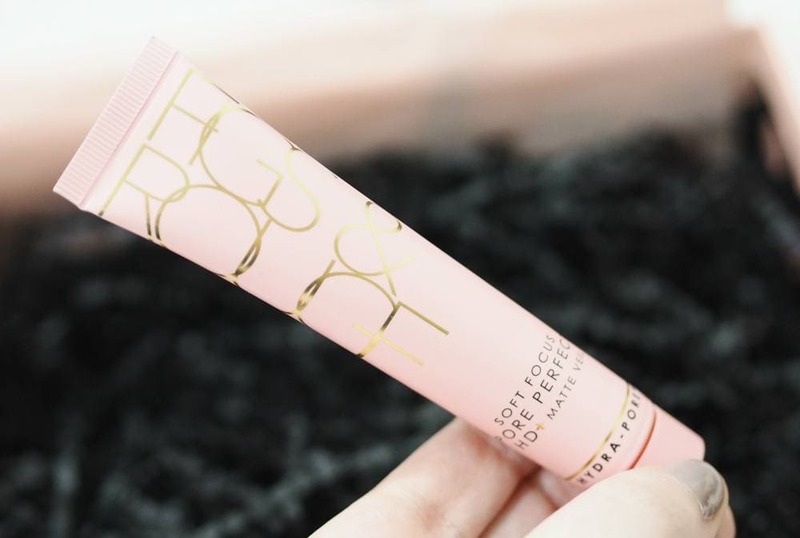 Described as being a high definition and pore perfecting soft focus veil with a weightless, matte finish which helps minimise the appearance of pores and create a sheer complexion. It claims to help reduce skin impurities and combat breakouts, diminishes shine and delivers a micro-fine, soft focus effect. I’ve tried the Figs and Rouge lip balms, but I had no idea they had other products within their range. I can’t try this myself as I have very dry skin, and avoid anything mattifying but I’ll pass it on to my friend who loves anything mattifying as it sounds promising. Then the next product within the Glossybox March 2018 is yet another repeat. We had Universal Beauty feature in the October 2016 box, and not just the brand – this identical product, and identical shade. 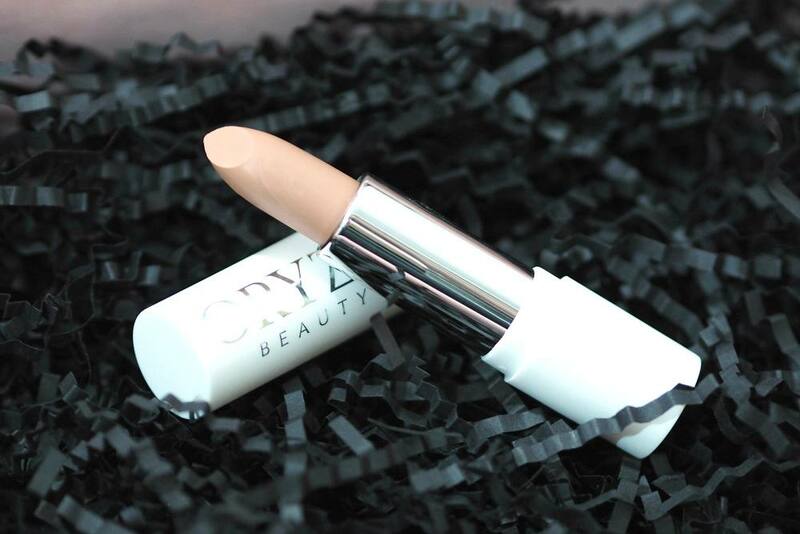 As the name suggests it’s a cream blusher which can be used on the lips as a lip stain too. 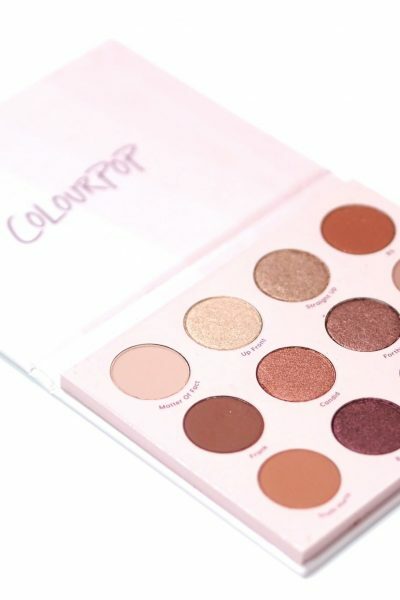 I have never heard of this beauty brand before but this shade is such a strange shade to put in a beauty box as it’s extremely pale, so it’s only going to flatter a very small minority of people. 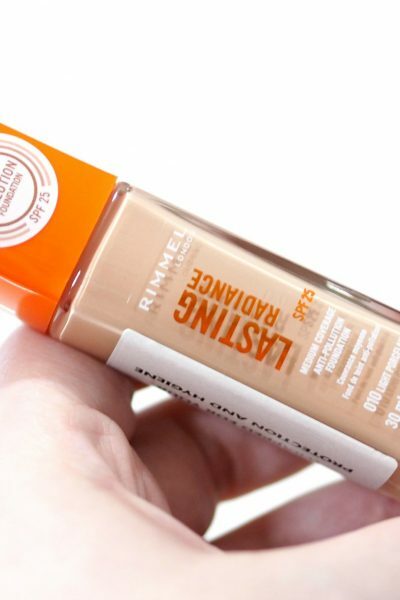 There’s no way this shade would work for anyone with a skin tone that is deeper than mine as it’s too pale for me which is a real shame as it feels like a nice and creamy formula with a satin finish. So they are the products within the Glossybox March 2018 box. I would love to know your thoughts on what I’ve discussed? How do you feel about beauty boxes?